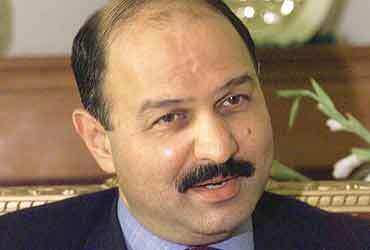 Senator Mushahid Hussain Sayed is a man who wears many caps: he is the Pakistan Senate foreign relations committee chairman, the secretary-general of the ruling Pakistan Muslim League, and widely regarded as Pakistan President Pervez Musharraf's right-hand man. A former editor of a major national daily, Hussain knows a thing or two about the unrest in Balochistan. It was a parliamentary committee headed by him that had recommended that the government grant autonomy to the Balochis, and ensure their province wasn't forgotten in the rapid economic development of Pakistan. Why should Pakistan complain about India having several consulates in Afghanistan? They are two sovereign states. India currently has an extensive diplomatic presence in Afghanistan. It includes the Indian embassy in Kabul and another four consulates in Kandahar, Jalalabad, Mazar-e-Sharif and Herat. These Indian diplomatic missions serve as launching pads for undertaking covert operations against Pakistan, from Afghan soil. Particularly, the Indian consulates in Kandahar and Jalalabad and their embassy in Kabul are used for clandestine activities inside Pakistan in general and the Federally Administered Tribal Areas (FATA) and Balochistan in particular. Are you alleging that the Indian Research and Analysis Wing (RAW) is involved? Indian diplomatic and RAW officials have significant ingress in the Afghan ministry of tribal affairs, and are exploiting it to conduct covert activities. Indian agents are instrumental in arranging meetings of tribal elders and Afghans with dual nationalities with Indian consulate officials in Jalalabad, and assisting them in spotting and recruiting suitable tribal elders from Jalalabad and Pakistan's North and South Waziristan Agencies for covert activities. Are you then saying that RAW has managed a strong presence inside Afghanistan after the ouster of the Taliban? RAW has established its training camps in Afghanistan in collaboration with the Northern Alliance remnants. Approximately 600 ferraris, or Baloch tribal dissidents, are getting specialised training to handle explosives, engineer bomb blasts, and use sophisticated weapons in these camps. Has India revived its links with the leaders of the erstwhile Northern Alliance who are in power in Afghanistan today? India has invested heavily in its old connections with the leaders of the erstwhile Northern Alliance. It has sizeable support in Afghan parliament. Before the Afghan elections last year, the Indian ambassador called the Northern Alliance's major leadership at his residence and paid them a handsome amount to run their election campaign. Are allegations of India placing troops in Afghanistan correct? India is gradually increasing the number of its paramilitary personnel in Afghanistan. It is stationing them there on the pretext of providing security and protection to the Border Roads Organisation, which is constructing the Zaranj-Dilaram road, and its consulates. From a few personnel, the strength of Indian troops has reached almost that of a company size force and even includes Black Cat Commandos. Is the Afghan state helping India in these operations? Yes, the Afghan Police, the Border Security Force and customs officials facilitate the visit of Indian diplomatic staff and intelligence agents to border areas, and help them to hold meetings with dissatisfied pro-Afghan dissidents, anti-state elements, and elders of the area. In this context, meetings of tribal elders are arranged by the Afghan intelligence agency (Riyast-i-Amniyat-i-Milli or RAM) at the behest of those RAW officials who serve in different diplomatic offices of India in Afghanistan. Indian agents are carrying out clandestine activities in the border areas of Khost and in Pakistan's tribal areas of Miranshah with the active support of Afghan Border Security Force officials. If you remember, after Pakistan took action against the Balochistan Liberation Army and other elements inside the province, the Indian external affairs ministry was quick to issue an unprecedented statement (see story below) in December 2005; their strategic writers have started focusing on Balochistan in their articles. This does not bode well for peace and stability in the region. I have no doubt that this will backfire on India.